To address the interest in broad character-centric discussion, we're going to start rolling out character specific superthreads. This will not prevent you from discussing the intricacies of characters elsewhere in the Gameplay & Matchmaking forum, but will hopefully help give everyone, including fans new to the site, an easy reference point for strategy discussion. This has certainly been a popular request. These threads will be easily accessible via this sticky superthread menu, and will also be included in character sections of the special MK2011 sub-site [coming soon]. To avoid flooding the forum and to create an event atmosphere, we're going to roll characters out one at a time. Please do not create counterpart threads for other characters -- an official version will appear very soon. RE: Official Character Superthread Sticky Menu! Sooooooooooo.... These threads dead or am I missing something here? Was hoping to find some sweet Scorpion strategies/videos/tips etc. I will take heavily part in the Kabal and JC threads. <br/> <br/>I would like for you to let me make my own Kabal thread if I may. I have alot to say about him. I will take heavily part in the Kabal and JC threads. I would like for you to let me make my own Kabal thread if I may. I have alot to say about him. <div class="forumQuote"><b>Mick-Lucifer Wrote:</b><br/><em><strong>Rumble rumble...</strong></em></div> <br/> <br/>Ohhh, I finally figured out why you did that thunderous rumbling; because you've made more of these threads! 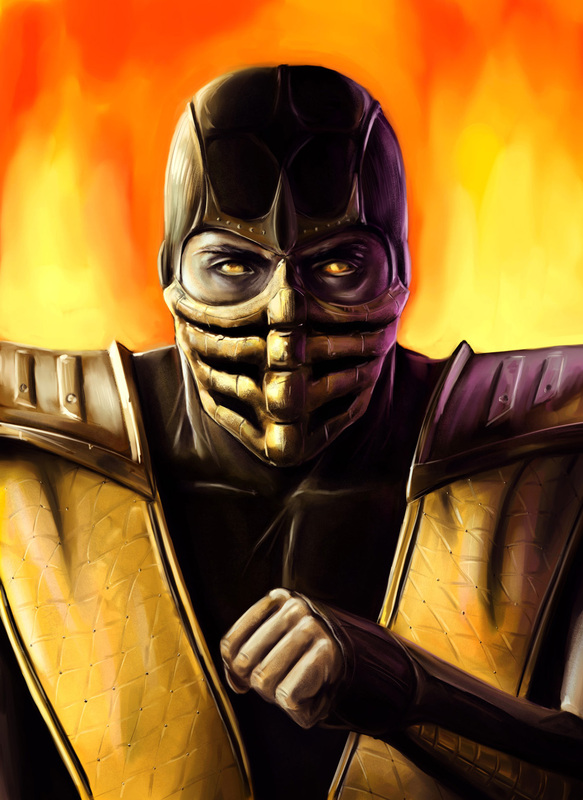 <br/> <br/>Anyway, if any superthreads are made for Shang Tsung, Liu Kang, Freddy Krueger, Stryker, Cyber Subby-Wubby, Noob Saibot and Kratos, you can bet I will share the Kombat knowledge I have stored in my Mortal Kombat memory banks. Ohhh, I finally figured out why you did that thunderous rumbling; because you've made more of these threads! Anyway, if any superthreads are made for Shang Tsung, Liu Kang, Freddy Krueger, Stryker, Cyber Subby-Wubby, Noob Saibot and Kratos, you can bet I will share the Kombat knowledge I have stored in my Mortal Kombat memory banks. Wait, so this only refers to MK2011? I do not have an MK2011 copy, so anything for Armageddon, Deception, or Shaolin Monks? Maybe DCU? <div class="forumQuote"><b>legoslayer10 Wrote:</b><br/>Wait, so this only refers to MK2011? I do not have an MK2011 copy, so anything for Armageddon, Deception, or Shaolin Monks? Maybe DCU?</div> <br/>Yep. These are all specifically relevant to MK2011. <br/>You can post threads about those other games, or dig up old posts that are on the forums. As they're significantly passed, we probably won't do the same thing for the games, but they're all fine to discuss in this forum. <br/> <br/><div class="forumQuote"><b>Unknown265 Wrote:</b><br/>Ohhh, I finally figured out why you did that thunderous rumbling; because you've made more of these threads!</div> <br/>Rumbling back to life. Was supposed to be done in 2011, but for whatever reason, they didn't continue when I was on hiatus. Will definitely take up some of these requests soon. Yep. These are all specifically relevant to MK2011. You can post threads about those other games, or dig up old posts that are on the forums. As they're significantly passed, we probably won't do the same thing for the games, but they're all fine to discuss in this forum. Rumbling back to life. Was supposed to be done in 2011, but for whatever reason, they didn't continue when I was on hiatus. Will definitely take up some of these requests soon. <div class="forumQuote"><b>Mick-Lucifer Wrote:</b><br/><div class="forumQuote"><b>legoslayer10 Wrote:</b><br/>Wait, so this only refers to MK2011? I do not have an MK2011 copy, so anything for Armageddon, Deception, or Shaolin Monks? Maybe DCU?</div> <br/><br/>Yep. These are all specifically relevant to MK2011. <br/><br/>You can post threads about those other games, or dig up old posts that are on the forums. As they're significantly passed, we probably won't do the same thing for the games, but they're all fine to discuss in this forum. <br/><br/> <br/><br/><div class="forumQuote"><b>Unknown265 Wrote:</b><br/>Ohhh, I finally figured out why you did that thunderous rumbling; because you've made more of these threads!</div> <br/><br/>Rumbling back to life. Was supposed to be done in 2011, but for whatever reason, they didn't continue when I was on hiatus. Will definitely take up some of these requests soon.</div> <br/> <br/>As Skarlet's number one fan I put my vote to seeing a Skarlet Superthread on MKO. Hell I could help write it if you wanted me 2 Mick-Lucifer. As Skarlet's number one fan I put my vote to seeing a Skarlet Superthread on MKO. Hell I could help write it if you wanted me 2 Mick-Lucifer. RE: Official MK2011 Character Superthread Sticky Menu!